I thought I’d give you a quick update on the budget topiary ball I planted up back in AG 29 Oct 2011. 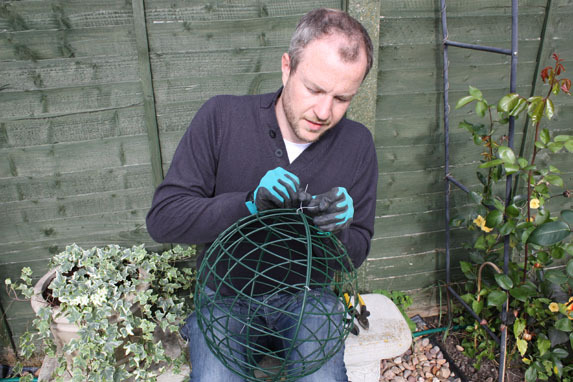 At the time, I wired together two wire hanging baskets (below) to create a spherical frame and then set this over a large pot containing three small ivy plants. Kept in the greenhouse over winter it has put on some good growth. 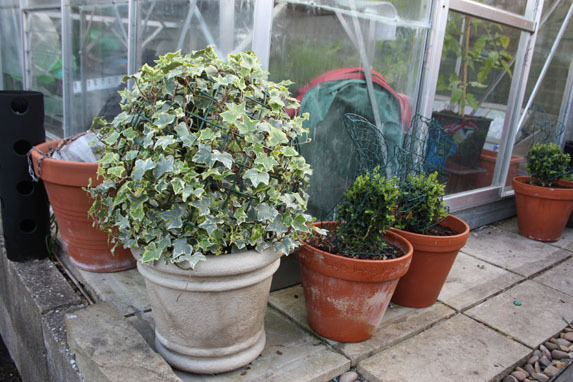 There is still some time before the frame will be fully covered, but slow growth over winter has filled the frame nicely and I’m currently in the process of hardening off the plants before setting the pot outside permanently for the season. For the past week I have been placing it outside by day and moving it back undercover before dusk to protect it from night frosts. I’ll do this for another week before leaving it outside full time. Within a few months I expect the plants to fill out the frame completely, leaving me with a stylish topiary ball, created for the budget price of less than £10. 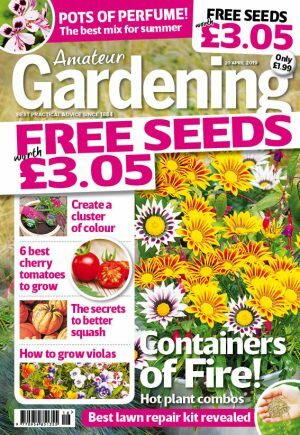 Compare that to the price of a box ball at the garden centre and you’ll see it’s well worth a go. If you’re looking for a quick project this weekend, give it a go yourself.